Lest we forget Tibetan cause ! 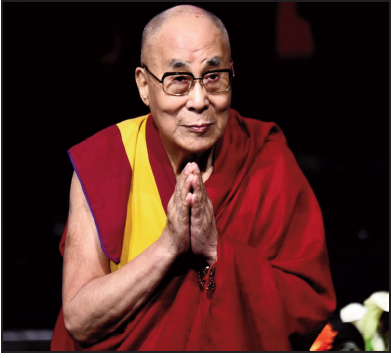 Dalai Lama Last month millions of peace-loving people the world over celebrated the 83rd birthday of the Tibetan spiritual leader Dalai Lama. What an adorable statesman the Dalai really is in our times. Ever since he assumed the leadership of Tibet, he has been committed to the cause of freedom, equality and democracy in his land . A true follower of Buddha, the Dalai has employed the tools of compassion and non-violence to accomplish a goal of Tibetan autonomy for freedom and democracy in his land. After communist China occupied Tibet , an ancient independent nation, the Dalai avoided the path of confrontation with Beijing. Influenced by our first Prime Minister Jawaharlal Nehru , the Dalai sought to preserve Tibetan autonomy through the various agreements signed between Beijing and Lhasa. The Dalai has adhered to the same path for Tibet and its people even after he had to escape to India in 1959. In 1979 Chinese supremo Deng Xioping told Gyalo Thondup, the elder brother of the Dalai Lama, he could discuss with the Dalai in exile anything except the independence of Tibet. Subsequently, the Dalai made his Strasbourg proposal ( 1987) asking for genuine autonomy within the framework of the current Chinese Constitution . The Dalai's famous Five-Point Peace Plan is about making future Tibet a zone of non-violence, dismantling its ongoing militarization—conventional and nuclear. 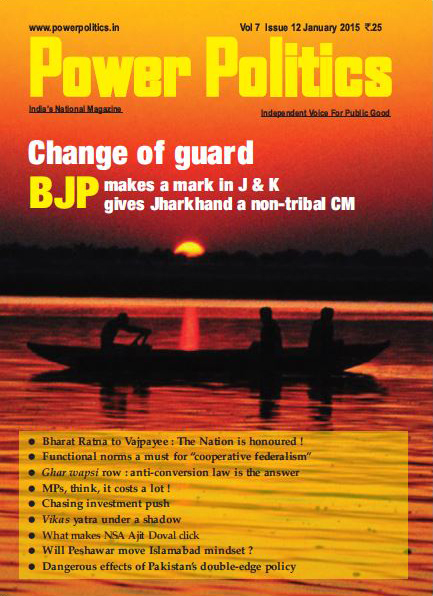 In his exile in India , the Dalai has also been grooming Tibetan youth in the art of democratic governance . In 2001 the Dalai created a system of elected political leadership and reduced his involvement in politics in a bid to introduce representative democracy. In 2011, he retired fully from temporal affairs . Today the youth in exile are ready for the assumption of legislative , executive and judicial responsibilities if and when an autonomous Tibet emerges. Jawaharlal Nehru I wonder why the governments of leading democracies are not being conscientious enough to back the Dalai's cause of genuine autonomy for democracy in Tibet . They are not inclined to the official position of seeking autonomy for Tibet within the People's Republic of China. I have come across many Tibetans in exile who advocate even the recourse to violence to a c h i e v e independence. Today most of the young Tibetans seem to be fully convinced that the 'middle way' of seeking autonomy within China would never bring justice to them . Since 2012 some young activists have been organising the Rangzen (freedom) Conference to advance their movement for an independent Tibet. In Dharamsala, the fifth Rangzen Conference was organized recently. A dominant feeling among the Tibetans today is that the leading democracies are too focused on their economic engagement with communist China to care for the Tibetan cause .Beijing has cashed in on the mercantile approach of the democracies and annexed Tibet, Inner Mongolia and Xinjiang (East Turkestan ). Today Tibet constitutes 25 per cent of China's landmass. With a massive transfer of Han population, natives have lost their identity in the regions occupied by China. 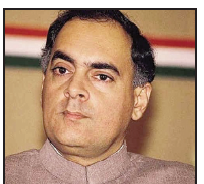 Rajiv Gandhi's Like it or not, the approach of the government in New Delhi towards Tibet has ceased to reflect the spirit of democracy in the post- Nehru era in India . 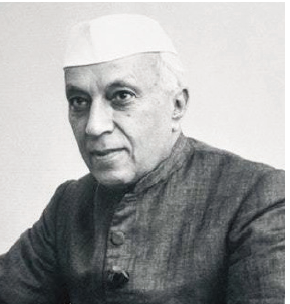 Prime Minister Nehru was a person of high moral-social conscience. A true statesman, Nehru respected Tibetan nationalism too. He wanted democracy to flourish in the plateau . Nehru did his best to promote Tibet as an autonomous region . According to a study, on India's Independence ,our then Eastern Commander Lt General Sir Francis Ivan Simms Tucker recommended that the Indian Army send a brigade and occupy the roof of the world. Nehru rejected this idea . P V Narsimha Rao Knowledgeable sources say Nehru preferred peace with China (and any other nation). But he kept Beijing engaged to assert his claim "Tibet is an autonomous region of China." Nehru also made it clear to the then Chinese leadership that the political status of Tibet would have to be ultimately determined by the Tibetans themselves. did everything to see to it that the cause of Tibet was never lost. He evolved a policy to advance the Tibetan cause further . N e h r u ' s successors have behaved differently . During Prime Minister Rajiv Gandhi's visit to China in 1988, India recognized Tibet as an autonomous region of China. 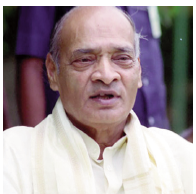 Prime Minister P V Narsimha Rao was for quid pro quo—India's formal recognition of Tibet as a region of China in exchange for China's recognition of Sikkim and Arunachal Pradesh as India's constituent units. 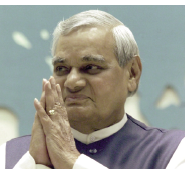 Atal Bihari Vajpayee Prime Minister Atal Bihari Vajpayee, during his visit to China in 2003, recognised "Tibet Autonomous Region is a part of the territory of the People's Republic of China." What a great injustice to the cause of Tibet! 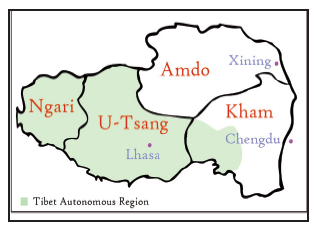 Tibet comprises a much larger entity of Utsang, Amdo and Kham. TAR is just a part of Tibet. It is without Amdo, wherein the Dalai Lama himself was born . China has converted the whole of Amdo into its Qinghai province . TAR is without parts of Kham annexed into its provinces of Gansu, Sichuan and Yunnan. 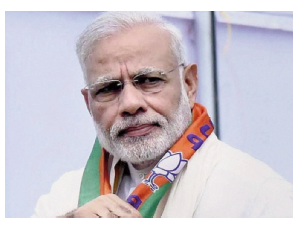 Narendra Modi Will Prime Minister Narendra Modi set right the post –Nehru Tibet policy aberrations ? Some experts suggest New Delhi must not forget what Beijing did in 1962. With New Delhi's indifference to Tibetan autonomy, the high altitude buffer between India and China is long gone. China has placed ICBMs, Intermediate Range Ballistic Missiles and Medium Range Ballistic Missiles. It has built airfields, satellite fields, radar stations . China has region-focussed Infantry Divisions of rapid airborne deployment variety . It has nuclear armaments emplaced in its Lanzhou and Chengdu military districts adjoining India . China has a chain of feeder lines up to the Line of Actual Control.